Big Burger. . Wallpaper and background images in the Essen club tagged: big burger. Hello Heart Attack City! Where was this from? 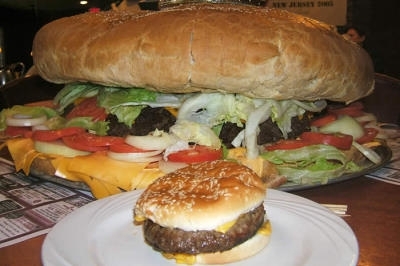 That's one enormous burger! Is it a world record?